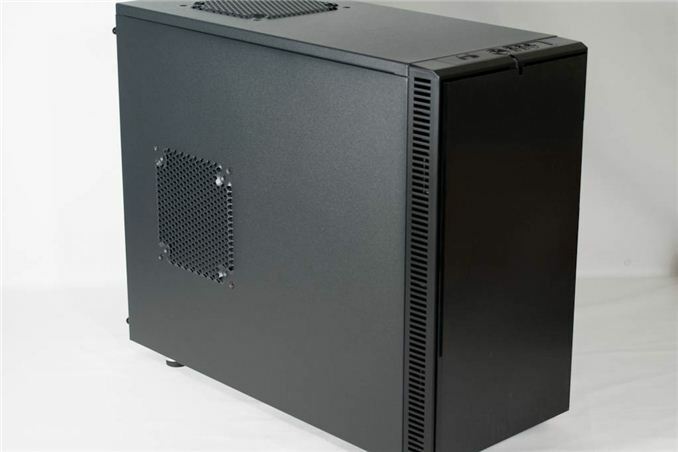 Quote: "It's a weird situation when the micro-ATX form factor seems to be ideal for the majority of end users." Hi Dustin! you say you have a terrible time to manage cables on every case you test, but how do you feel about cabling a custom-case made by hp? here are some images from a similar case from the HP site. Testing cases is really a hard thing to do I'm afraid. I've got the Define Mini on my desk behind my screen, where it hides itself due to it's little height. Anyways... for the watercooling. A 240mm rad in the front is possible without modding. Just remove the two drivebays and install your 3.5" HDD + 2.5" SSD in one of the 5.1/4" bays. Another 120mm rad is possible in the back, so you have one 240mm rad for the GPU and one 120mm rad for the CPU, and voilá... even lower temps and the same low level of noise. 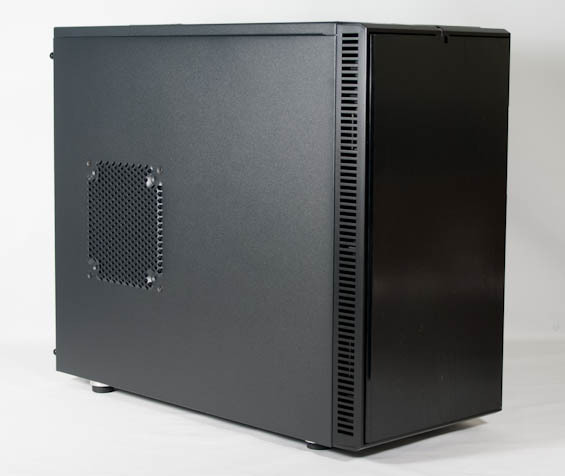 Install a Scythe S-Flex @ 800RPM in the bottom behind the PSU and one in the top for that little additional ventilation and you can even use powerful components. I'm running a GTX660 and an i5-3450 in my Define Mini, and temps are no issue at all, and the case is still dead-silent there behind my screen. The one thing I did tho was to cutout the grill covering the fan in the back, as these hex-grills produce a very annoying noise when air is pushed through. You seem down on the Define cases except for the Xl r2. What separated that case was a bottom fan. I feel this design really needs that airflow with low impedance to help even out flows, otherwise there is a bit of a dead zone in the bottom half of the case. It must've been out for more than a year because I got this in Sept(?) of '11. I used it in my first real build for more than 10 years and all up I like it, although I don't know how it compares to others.